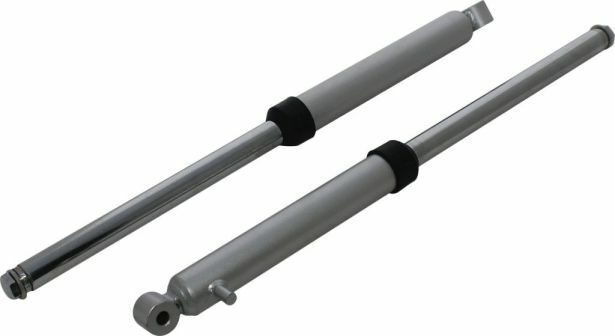 Shock - Yamaha PW50, 2pc Set. 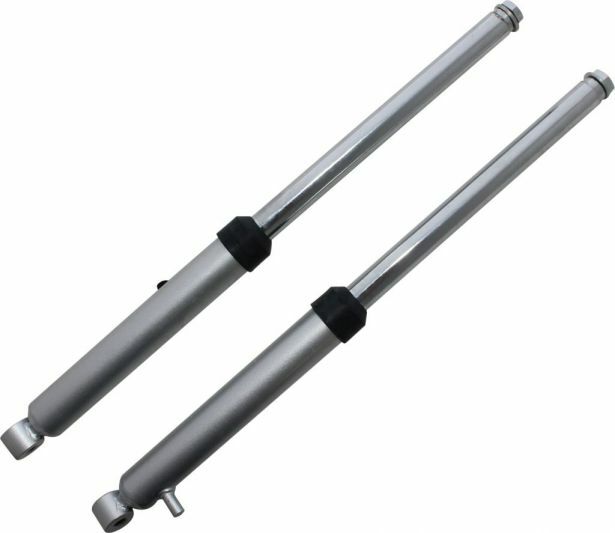 Front forks shock replacements. 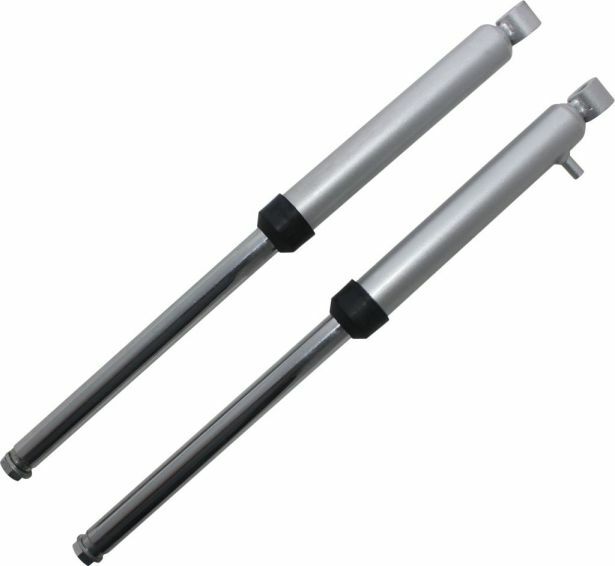 Commonly used for (but not limited to) direct replacement front shocks for PW50 (Yamaha Pewee 50) and other similarly configured kids or youth dirt bikes. 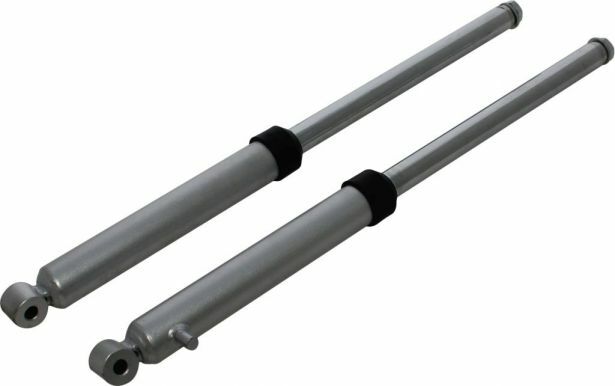 Overall length is 48.5cm (not including bolt). 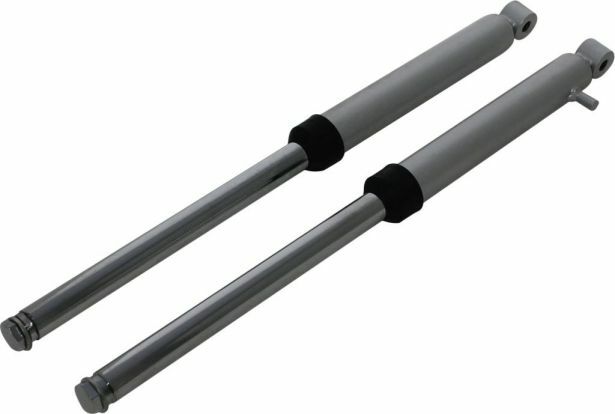 Diameter of fork tubes is 32.1mm and diameter of piston is 21.6mm. Bolt size is M10.